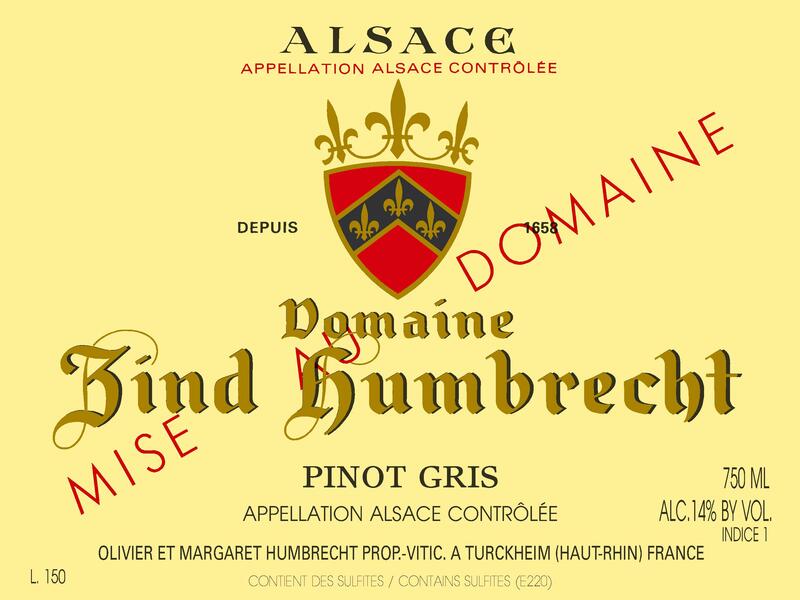 Just like in 2011, we didn’t produce any Herrenweg or Vieilles Vignes Pinot-Gris in 2012, as both were blended into this wine. The grapes ripened physiologically very quickly, to our great satisfaction, so it was possible to harvest them early and expect a dry wine. The Herrenweg is an early ripening vineyard because it gets less shadow from the mountains, the gravelly soil warms up quickly and it is also at the lowest altitude. If we are not careful, the grapes are quickly over-ripe and acids drop dramatically. In a vintage like 2012, we definitely do not want these grapes to reach high potential, in order to avoid unnecessary sweetness. 2/2012: rich nutty nose, exotic fruits but still dominated by some lees. It will take a few months after bottling to really show all its potential. The palate is concentrated but harmonious and smooth. Almost hard to believe it is bone dry. Good length, very youthful, this will be an easy to like wine.